Watch our Introductory Video to Toys for Pittsburgh Tikes. Learn our history and mission. For children of all ages, very few feelings match the excitement of receiving presents at Christmas time. Unfortunately, there are children who won’t receive gifts this Christmas. Victims of unfair circumstances, these kids absolutely deserve the same joy as their more fortunate peers. You may not realize it, but many of these children live within your very own community. 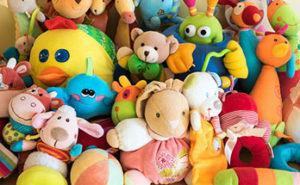 Thanks to Greater Pittsburgh Business Connection and its small business members, hundreds of less fortunate local children receive gifts each holiday season through the “Toys for Pittsburgh Tikes” program. Toys for Pittsburgh Tikes works in cooperation with over 40 Pittsburgh area Police Departments in distributing gifts in time for Christmas. 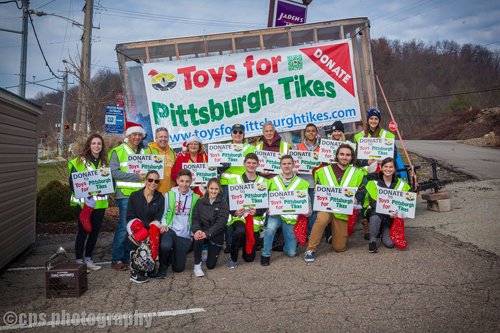 “Toys for Pittsburgh Tikes” is an independent NonProfit (501 c3) Organization originally founded by the Greater Pittsburgh Business Connection, a networking group consisting of more than 60 local businesses who meet weekly at Jaden’s Catering in Monroeville. Each year since its inception, GPBC has raised more money and toys than the year prior, and we hope to keep up that trend for 2019. 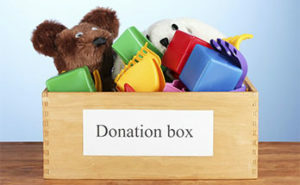 Participating businesses with offices or showrooms have been given “toy boxes” in which to collect toys from employees, customers, and community members willing to make donations of donations of new, unwrapped toys. All the “toy boxes” will then be collected and organized for distribution by participating organizations. Donations to this effort are accepted year-round by using the Donate Now button on any page on this website. Give today. We appreciate your support!